 On Saturday 19th January Crofton Scouts entered two teams in the Scout MetroRun held by Pontefract & Castleford Scout District. The Metro Run is a simple idea, visit and pass as many train stations within the Metroline area (West Yorkshire). A total of 11 Scout teams took part and 4 Explorer Scout teams. With a total of 38 stations visited by one team and 37 stations by the other, Crofton Scouts took victory in 1st and 2nd place. A lot of planning went into the event by our scouts, they had to study the timetable to allow them to call at as many station as possible between the hours of 9.00am and 4.00pm. Their planning and hard work paid off as they had a great day out, jumping on and off trains, and they had the added bonus of a great victory. We have a few pictures from the MetroRun day in our Gallery. Click on the small photo in the report above to see them.